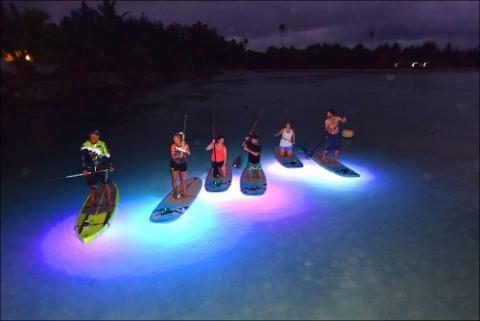 We introduced night paddling into the Cook Islands leading the way in adventure tours. 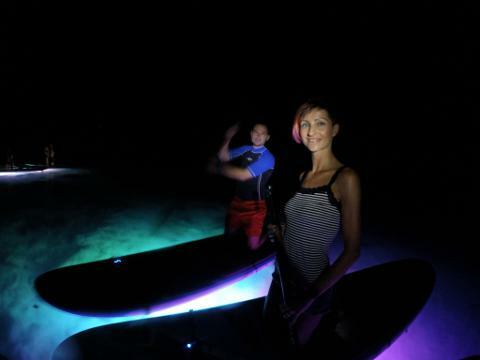 Our night SUP tours are a special way to see Rarotonga at night and from a view point of the lagoon. On a clear night the stars are bright and the water is so clear you think your floating on air. 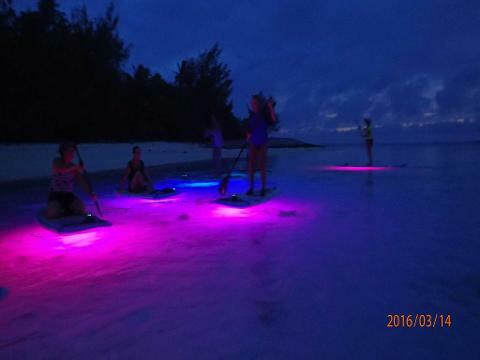 While a lot of fish sleep at night, we regularly see eagle rays, school fish and the occasional turtle. 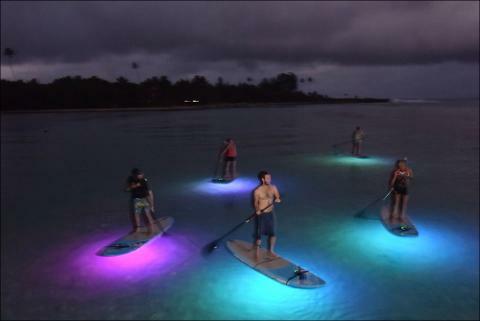 The lights make you feel like your in a swimming pool as it reflect off the white sandy bottom. We will meet you at a designated area depending on wind and weather conditions. 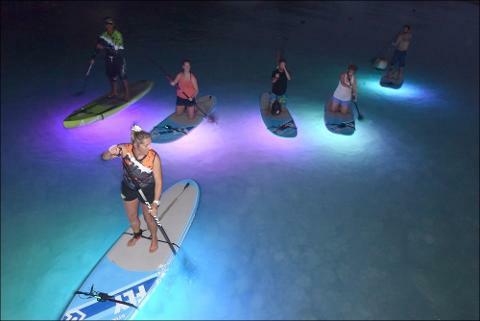 Tours normally start 6pm and run for 90 mins, 30 mins paddle boarding lesson during the day light and 60 mins in the dark. 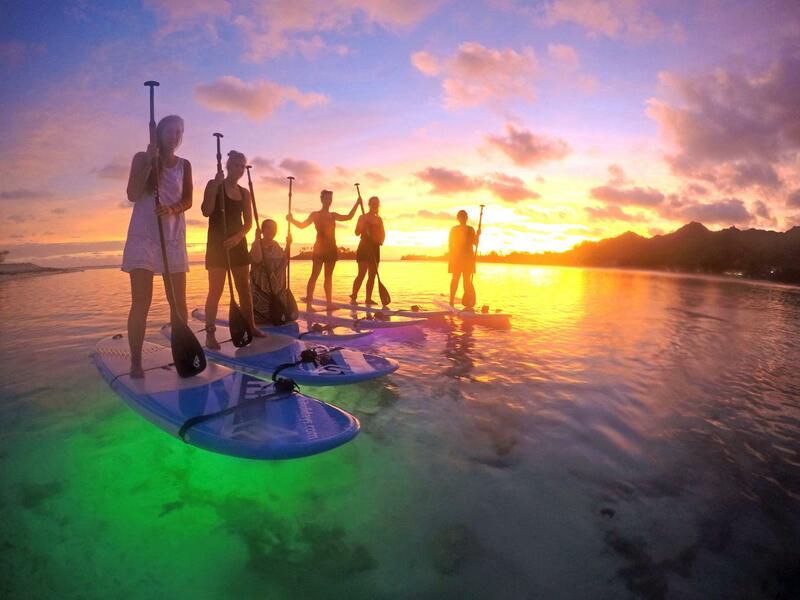 Its easy paddling and you don't have to stand if you don't want to.